The Village curates the best of Napa into a unique Wine Country experience. With nine tasting rooms, an upscale artisan market and an expansive 16,000-square-foot event lawn, The Village is a destination all its own. And with a robust, curated calendar that’s always changing, you’ll want to visit often to experience all the Napa Valley has to offer, all in one place. Showcasing boutique wines and microbrews, The Village offers nine tasting rooms, bringing the best of Napa Valley under one roof. Discover eight hand-selected wineries, each with its own unique style and history. For those with a more hop-forward palate, the on-site brewery, Napa Smith, upholds the classic style that gave American craft beer its start. Food pairings by Chef Vincent Lesage are also available. Open to the public, walk-ins are welcome. 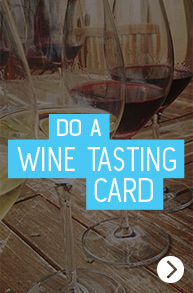 For parties of five or more, we recommend reserving your wine tasting experiences in advance. With farm-fresh, local ingredients and products, Fivetown Grocery offers a taste of the five towns that make up Napa Valley. Selections range from house made pasta and sauces to smoked barbecue and freshly baked bread, all made from scratch in small batches by celebrated Chef Vincent Lesage. For a truly spectacular experience, Fivetown Grocery offers everything you need to create the perfect picnic on our expansive community lawn (or reserve our butler service to curate the whole experience for you).